Well let me first establish that the history of dance is very murky. Nobody wrote down that on 13th Feb 150BC Cassius of Rome danced at the feast of all saints. Instead, dance is often understood to have taken place when it is observed in art like paintings or statues. It’s no surprise that dance has been around for a long, long time. It’s been an important part of rituals and ceremonies across the world. It is still, to this day, practiced all over the world by native tribes and this has been passed down over thousands of years from generation to generation. Some archaeology discovered delivers traces of dance from prehistoric times such as the 30,000-year-old Bhimbetka rock shelters paintings in India ! Can you believe that? Also, the Egyptian tomb paintings depict dancing figures from around 3300 BC. It’s safe to say it’s been around a long time as a form of social interaction, communication and bonding. Another interesting aspect of dance and how it is interpreted through time is its use for healing. Many tribes, some that are still around today, believe that dance can heal the mind, body and spirit. This might sound quite mystic but it’s pretty clear from our classes here at Excel that a good dance session can help you destress and make you feel so much happier than before you started. This feeling could easily have been interpreted as a healing power to mystics of old! Pretty cool! The main aspect of dance, as we all know at Excel, is that it is a form of expression. Putting together a great routine that can express your emotions and how you are feeling, whether it is slow and gentle or fast paced and frantic, dancing in different ways can give off different messages to those watching. The Greek philosopher, Aristotle, ranked dancing with poetry, and said that “certain dancers, with rhythm applied to gesture, could express manners, passions, and actions” - I think pretty cool! There isn’t a continent that dance doesn’t have a long history in. From Europe to Asia there is a long recorded history of some form of dance. By the 18th century, European dance had evolved and included rather heavy and cumbersome dance outfits - nothing like the awesome uniforms we wear at shows! Over time expression came in the form of costumes as well as the dance itself and a whole new aspect to dance emerged! Fast forward to the 20th century and contemporary dance emerges, taking over in popularity from the earlier forms such as ballet. The 21st century saw dance break into popular culture with icon eras such as the 60’s, 70’s and 80’s. Famous decades for their music and their dance. Famous icons such as Michael Jackson made popular the style of Street Dance which has remained as one of the popular styles to date. Lots of different styles gave branched of from street dance culture, another one that is popular is at Excel Dance is Hip Hop. Hip-hop dance started in 1967 when a certain DJ called Clive Campbell, aka Kool DJ Herc, came to New York from Jamaica. He started adding in extended sections (breaks in the lyrics) of percussion to his tunes that gave time for dancers to have their turn on the dancefloor. These dancers became known as breakdancers and this became a cornerstone of the Hip Hop dance scene. 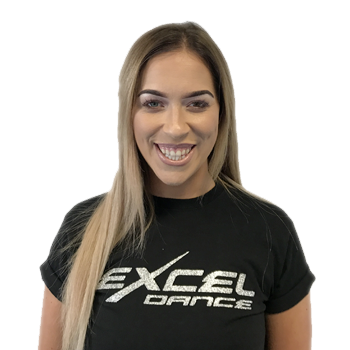 Hip Hop dance is a very popular style here at Excel Dance and if you want to know or learn more then drop us a message on the website or on Facebook. We have a free trial running and you’re welcome to come and join us for a class. We are the Leading Dance Academy in the UK, coaching & educating our students with innovative and creative ways. We pride ourselves on fun and friendly classes for all the Family. We give opportunities for competitions, performances and Yearly Shows which all help build confidence in all of our students. We also like to get the team all together out of the academy at extra family events such as bowling, rollerblading and much more for all of our students to make new friends. We also offer free events to all of our members our most popular is our Excel Discos. We are more than a Dance school. We are a family and care about every single one of our unique and individual students. All of our coaches are 100% committed to helping you/your child to achieve their goals. They all train hard to develop themselves and are always learning to be able to pass their knowledge on to our students. All of our classes are taught in a fun and engaging environment for you or child to enjoy.